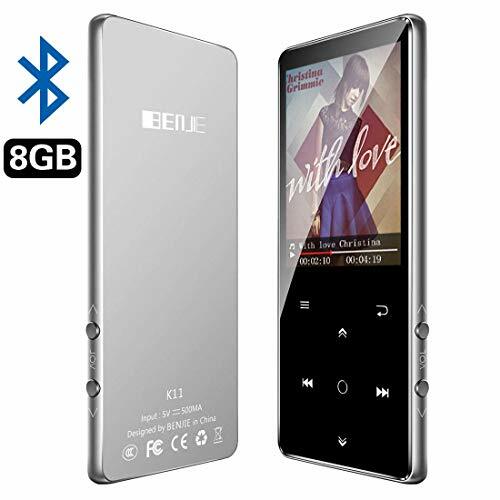 【100hrs Powerful Battery】Built-in Super Powerful Lithium ion polymer 800mAh battery. 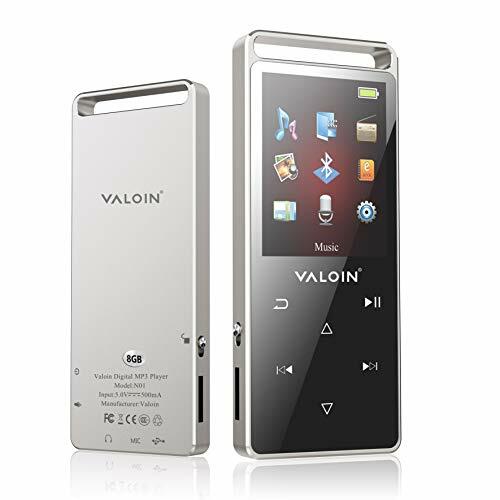 More than 100 hours playback, fully charged within 2-3 hours by USB charging cable. 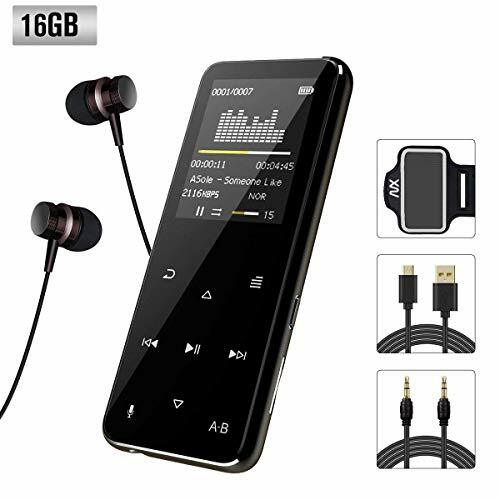 Enjoy your wonderful musical journey with High Quality Headphones. Charging Cable and High Quality Headphones are included. 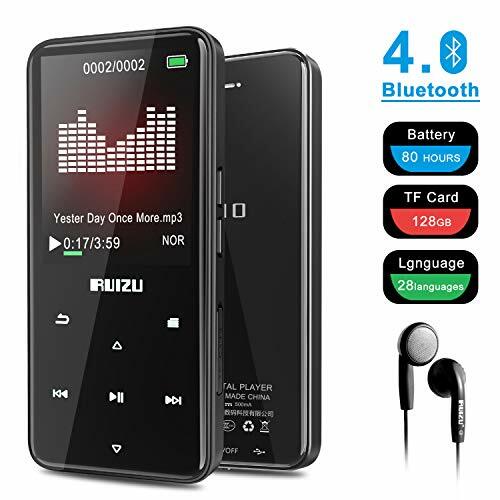 【Multifunctional Music Player】RUIZU music player with functions including Music Playing, FM Radio, Voice Recorder, Video (160*128 AMV video), E-book (TXT file)etc. A nice player for sporting, traveling, or jogging. 【12 Month Warranty & Service】12 Month Money Back Warrant,100% Satisfaction of Customer Service. If you get any product problems. Please contact Tihoosky directly, you'll get a quick response and satisfactory reply. 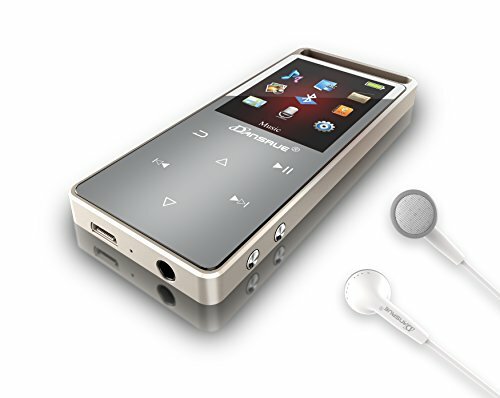 【Bluetooth Function】-- Dansrue MP3 music player can work in the wireless mode and wired mode. 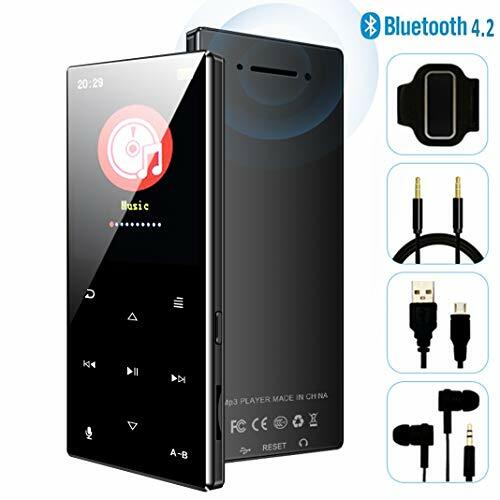 The MP3 player provide a quick and stable connection with your Bluetooth enabled devices such as Bluetooth speaker, Bluetooth headphones and compatible with cars of 0000 PIN code (not with random PIN). 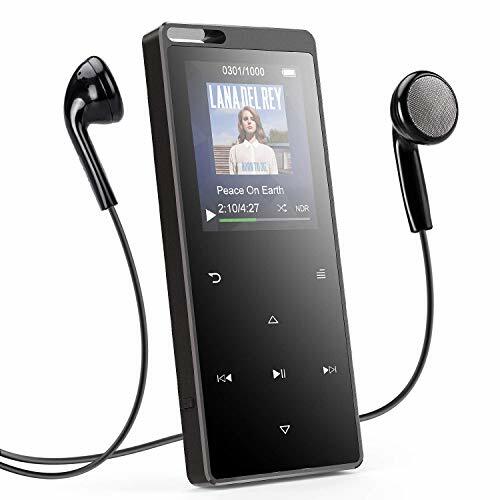 【Excellent Sound Quality】-- It adopts professional intelligent digital noise reduction chip ensuring high-qualified audio experience and enjoying your own world when you are outdoor. 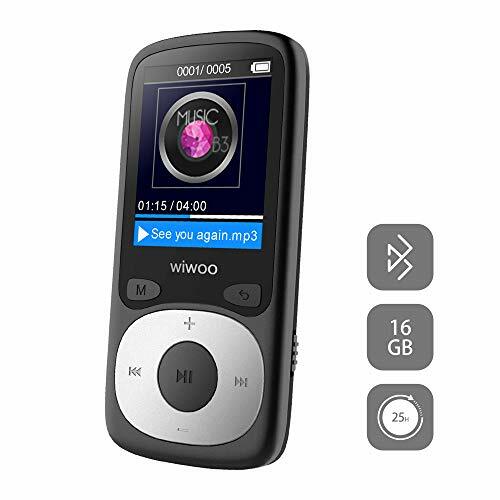 Support most of the popular audio formats: MP3、WMA、APE、FLAC、WAV、AAC-LC、ACELP. 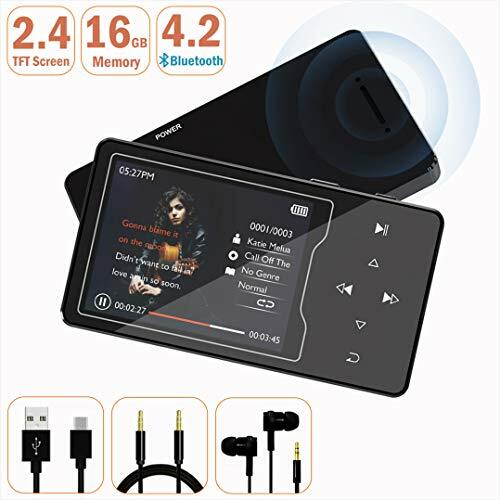 【Capacity and Long Playing time】-- This MP3 Music Player come with 8GB of built-in flash memory and supports up to 128gb Micro SD Card (NOT INCLUDING). 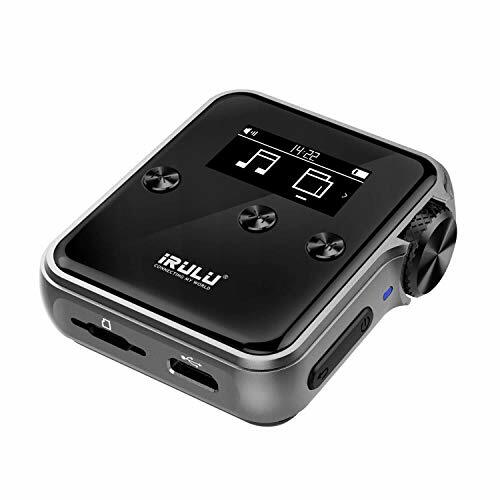 Music playing time up to 60 hours with 2 hours fully charged. 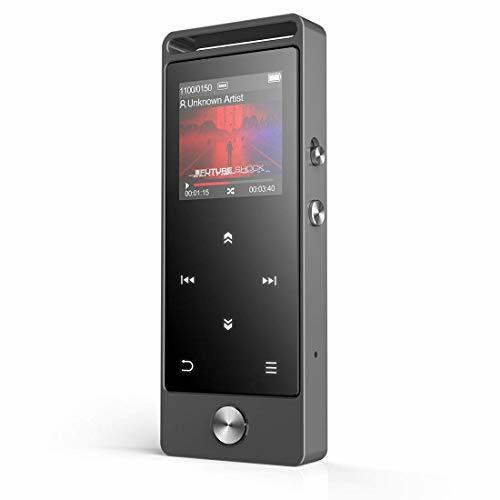 Take your ears to travel with extremely high resolution audio on the real lossless sound ! 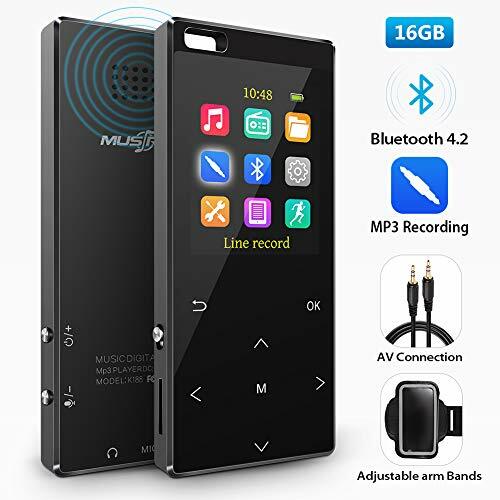 【Multi-functional】-- Dansrue M01 MP3 player not only designed with music play, but also support time screen-saver, one button to lock, voice record, A-B repeat, FM radio, resume playback, video, E-book(Support TXT Format Only). 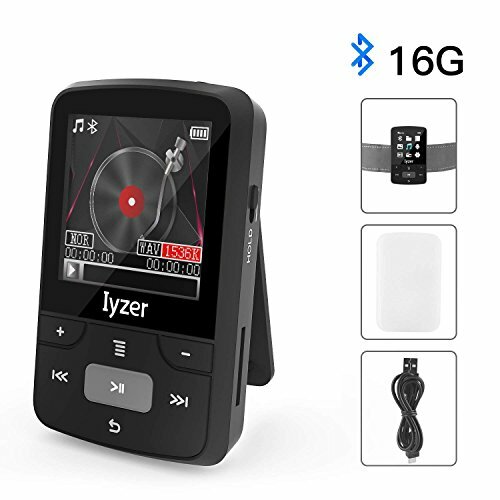 The smart Touch buttons and high-quality music playback make it the best choice for music fans; sport, fitness, running, traveling ect. 【Friendly User Design】-- Beautiful appearance. 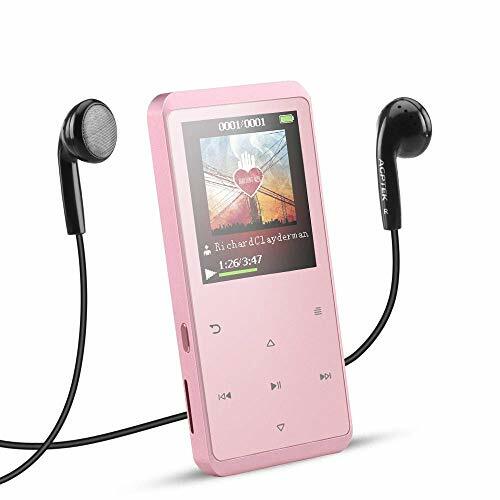 High-grade zinc alloy chassis and 1.8inch TFT Scratch Proof Acrylic Screen lends the player its high quality, sturdy protection. Having Fun in every Run, Jump, Dance and never worry the player will damaged or scratch when it shock or drop. 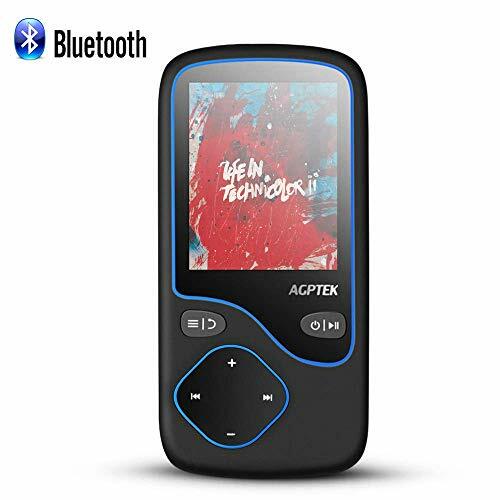 ♫ WIRELESS BLUETOOTH 4.2 TECHNOLOGY: Newest Bluetooth 4.2 technology of mp3 player, fast and stable transmission provides you a pleasant wireless music playing experience. Stream your favorite music through bluetooth speakers, bluetooth earphones. Support background music playback, music fast forward/backward, playing from playlist. 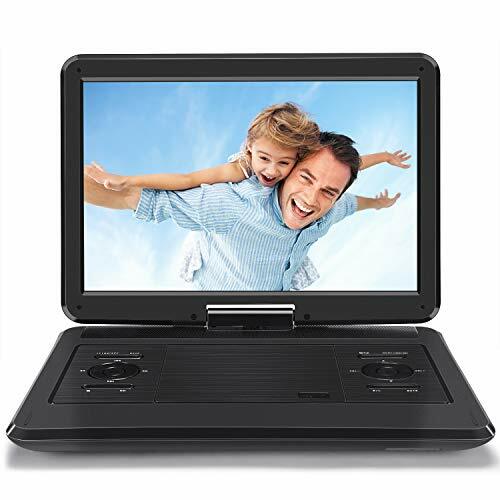 ♫ LARGE SCREEN WITH TOUCH BUTTONS: Equipped with large 2.4" HD color screen, the player delivers vivid and clearer HD image. 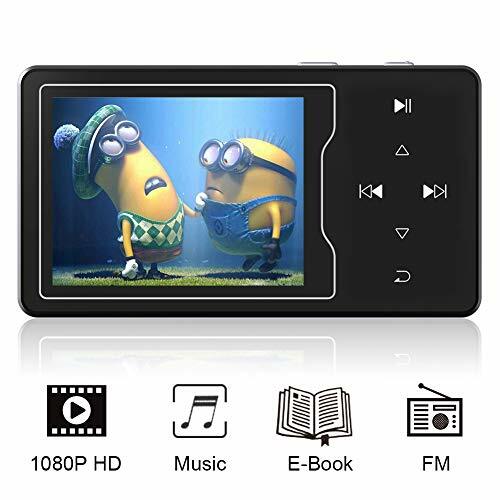 7 high-sensitivity touch buttons with backlight for night operation allow you control the player without making any noise. Turn on/off the backlight at your choice. Scratch-proof zinc alloy shell provides comfortable and smooth hand-feel. 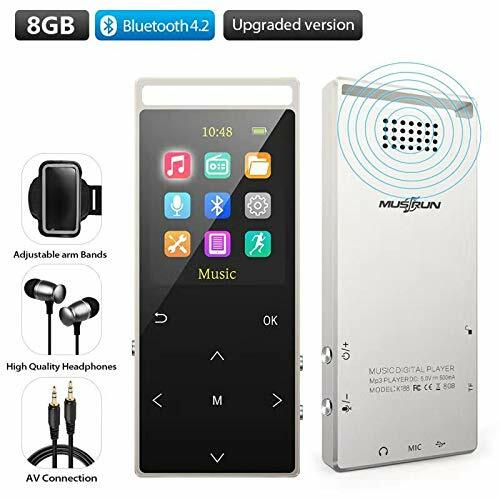 ♫ HIFI SOUND QUALITY & VOR RECORDING: Professional intelligent digital noise reduction chip is adopted to reduce noise and support all major popular Formats: MP3/WMA/WAV/OGG/APE/FLAC/AAC-LC/ACELP (MP3/WMA/WAV/FLAC/APE in bluetooth). 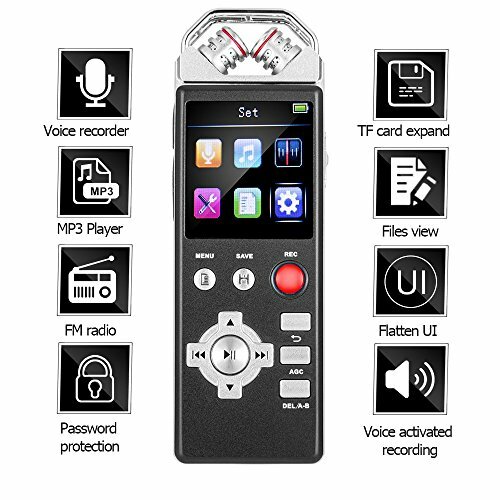 Supports VOR voice activated recording which will only start recording when voice detected (50-60dB) to save memory. 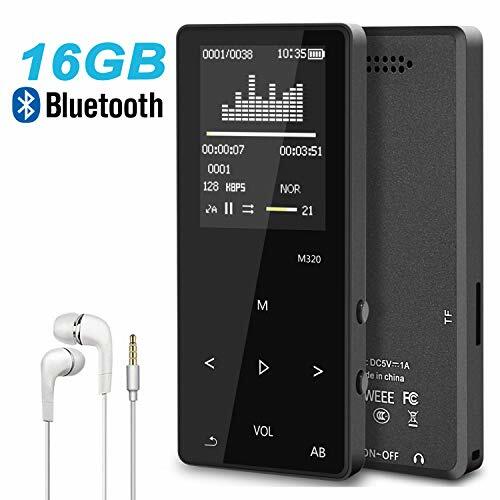 ♫ 8GB INTERNAL & 50 HOURS BATTERY LIFE: Built-in 8GB memory stores up to 2000 songs, support external memory card up to 128GB (not included). 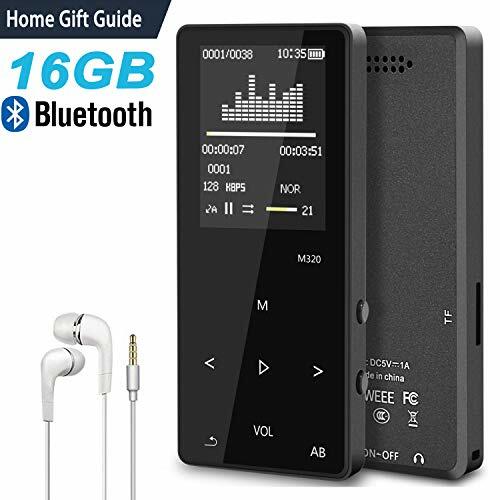 Provides up to 50 hours music playback time at medium volume after fully charged for 3hrs and 30 days of standby after fully charged. 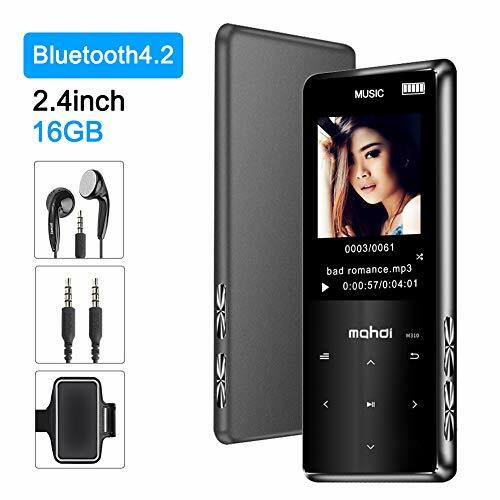 ♫ MULTI-FUNCTIONS: More than listening to music, it also supports FM radio, recorder, video playing (AMV/AVI, 240*320), read eBook(automatically flip), and view pictures(slide show) etc. 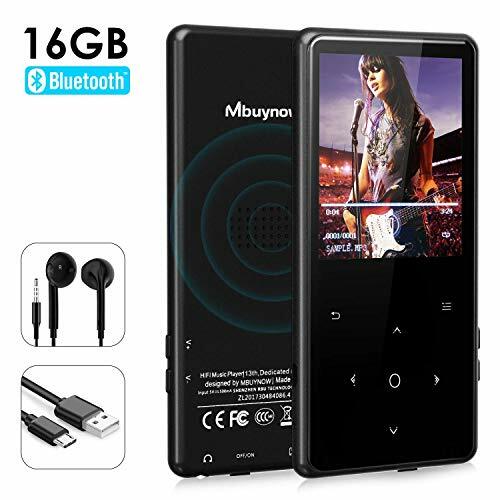 This is a good choice for music lovers, ideal for sport and working. 100% new product with high quality, 3 years warranty and 30 days money back. 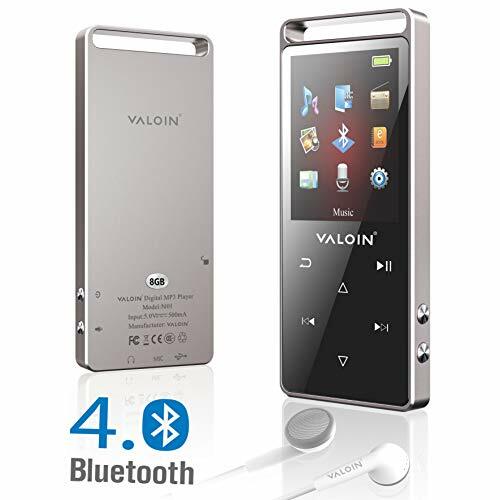 ♫【Bluetooth 4.1】MP3 player with Bluetooth, you could keep away from cables, which reduce the delay but speed up the transmission wirelessly. You could also fast donwload the data from Android mobile via OTG without trouble. Start enjoying the fun of wireless. 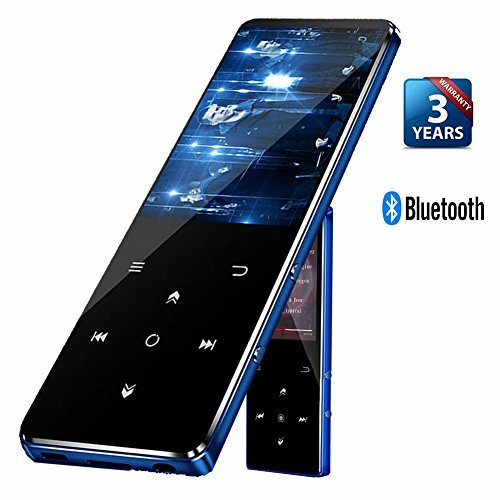 ♫【Long Time Playback and Large Capacity】With 800mAh battery and fully charged within 2-3 hours via USB charging cable, MP3 player playback time up to 50 hours. 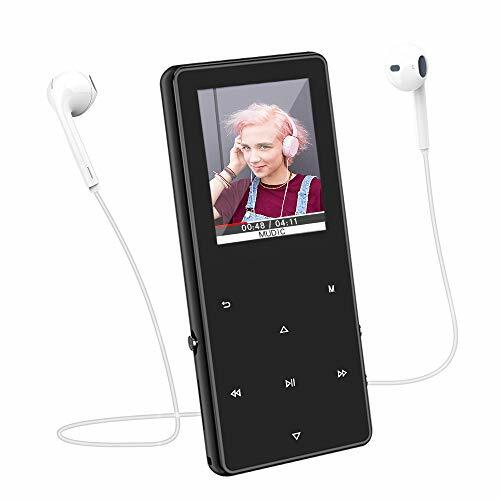 Built-in 8GB internal memory, the MP4 player offers plenty of room for your songs and books, supports up to 128GB Micro TF Card lets you add even more storage. ♫【Hi-Fi Lossless Sound】Build-in loudspeaker, MP3 player provides Hi-fi class sound that is close to the original. 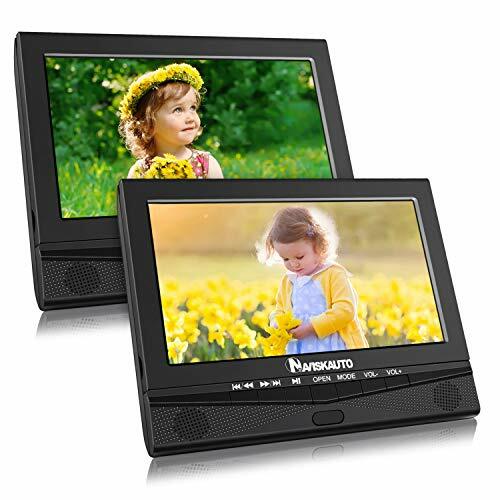 Supporting most audio formats, perfect sound makes it an essential device for enthusiastic listeners and make your work and life more enjoyable. 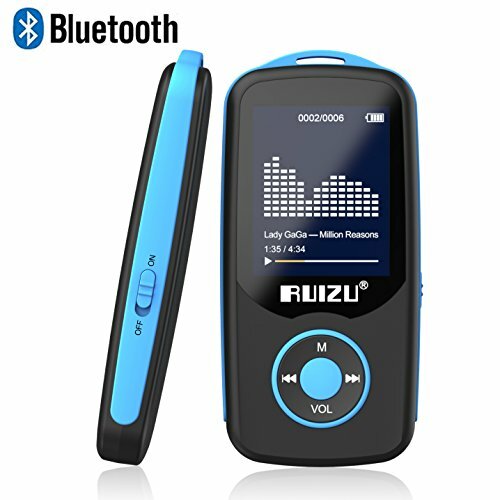 ♫【Fashionable Design】MP3 player with bluetooth Scratch-proof shell and smooth screen provides you comfortable hand-feel, and metal case has strong resistance to pressure and impact. 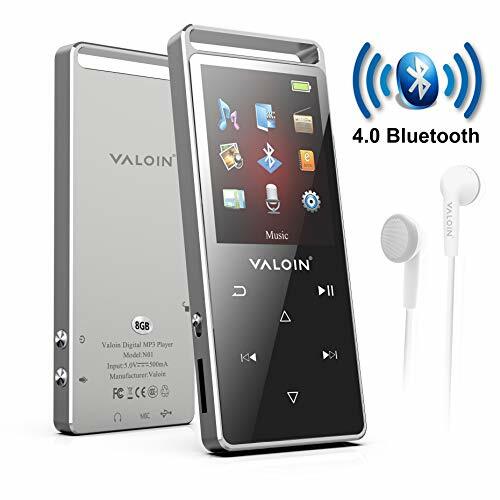 Touch button makes it easy to operate the player, which allow you enjoy music at anytime and anywhere. 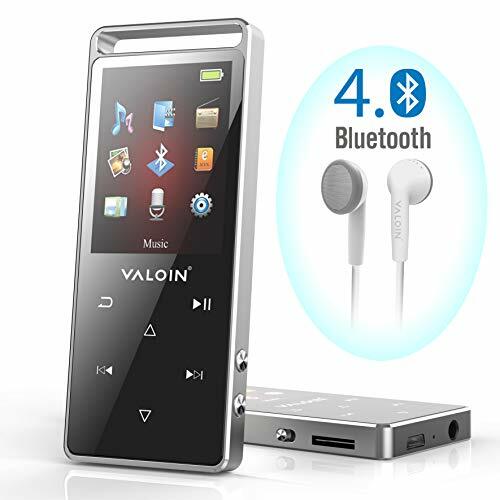 ♫【Multi-function】MP3 player Support music playback(WMA, OGG, APE, FLAC, WAV format playback), video playback(AMV, AVI, requires conversion tool to convert), record, FM radio, picture browsing(JPEG, BMP format), E-book, folder, alarm clock, stopwatch and so on. 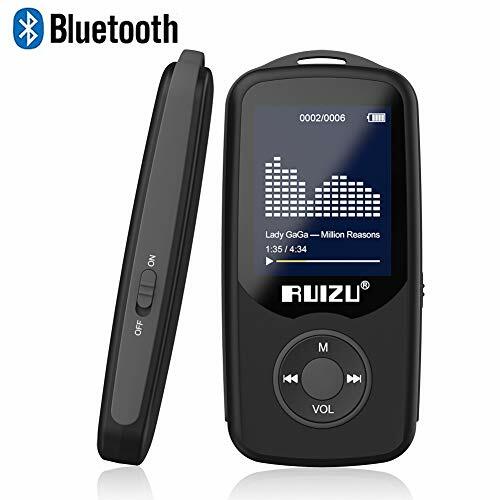 【Wireless Bluetooth & Hi-Fi Lossless Sound 】This MP3 player supports simpler and faster connection with Bluetooth headphones which provides you a pleasant wireless music playing experience within 10m when there is no barrier. 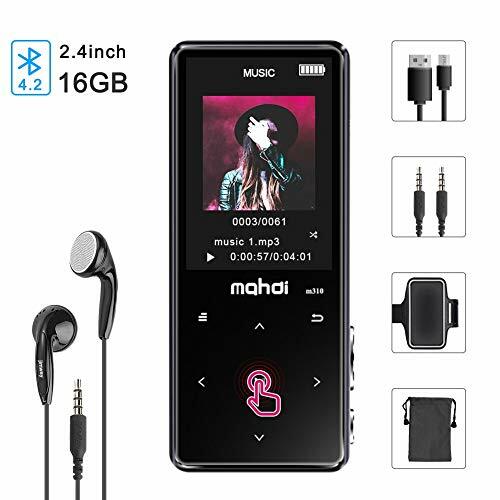 Besides,this walkman is equipped with professional intelligent digital noise reduction chip that ensures high sampling rate and restores the sound to the original. It supports audio formats: MP3/ WMA/ APE/ FLAC/ WAV/ AAC-LC/ ACELP. 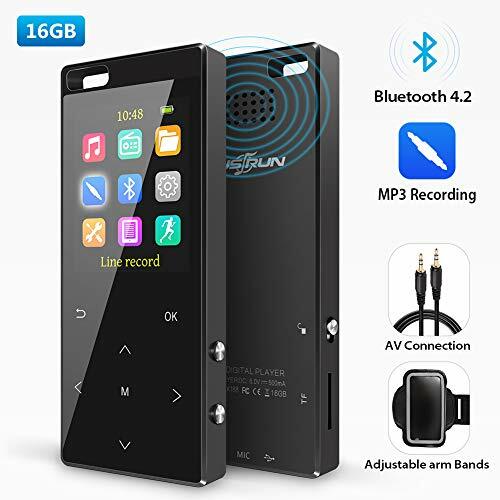 【High Sensitive Touch Screen & Lock Screen Key】 The 2.4 inch big LCD Screen and highly sensitive touch button that makes the whole mini mp3 player crystal clear and makes you operate the button more smoothly. It's convenient to lock the screen by pressing the power button. 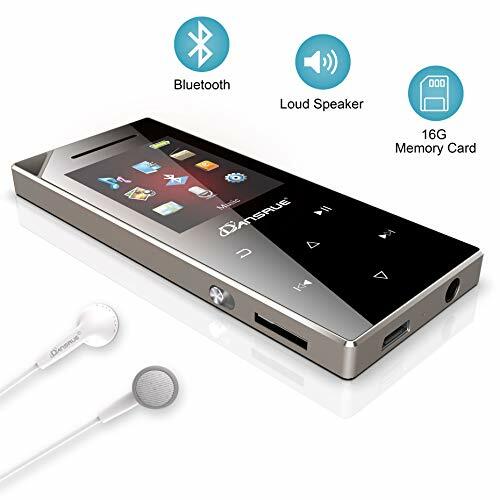 Erroneous operation can be avoided with a lock button when you put this music player in your pocket. Perfect for your entertainment and learning,outdoor and gym fitness. 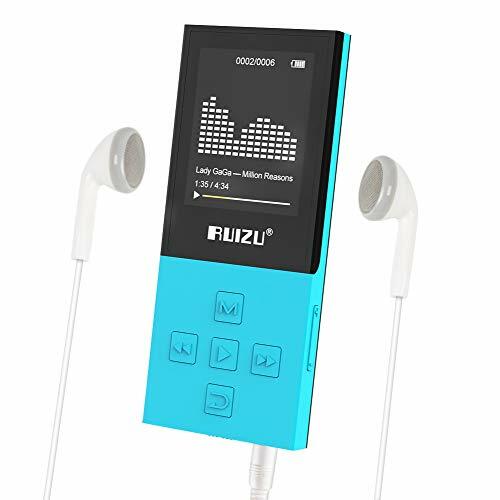 【Long Time Playback & Large Capacity】: Music playing time up to 70 hours with 2.5 hours fully charged, about 15 hours in Bluetooth mode. 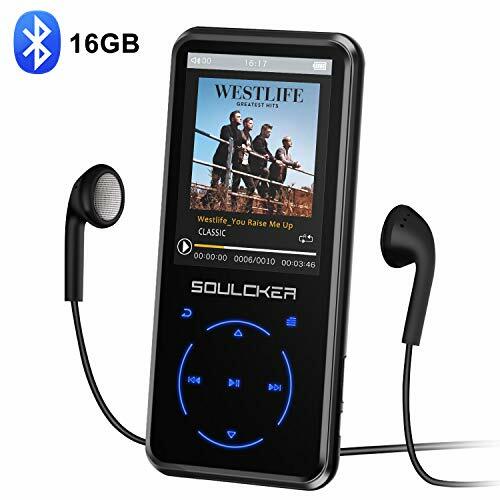 Built-in 8GB internal memory, the player offers plenty of room for your songs and books, supports up to 128GB Micro TF Card support storage of over 10,000 songs. 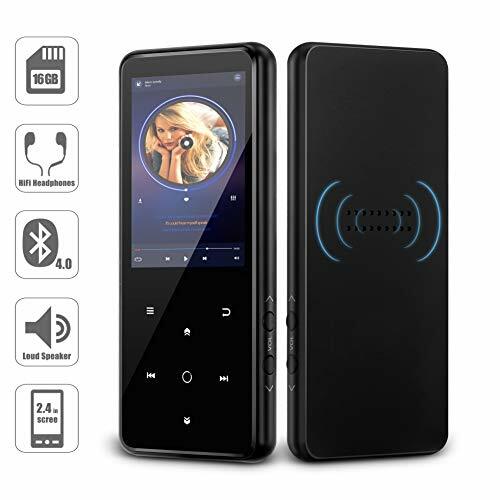 【Multi-functional】: This Portable Music Player not only supports FM Radio, Voice Recording, Picture Browsing, Video Play, File browser and E-book reading (support txt format only),but also supports time screen-saver,A-B repeat, Perfect for Sport,Traveling. 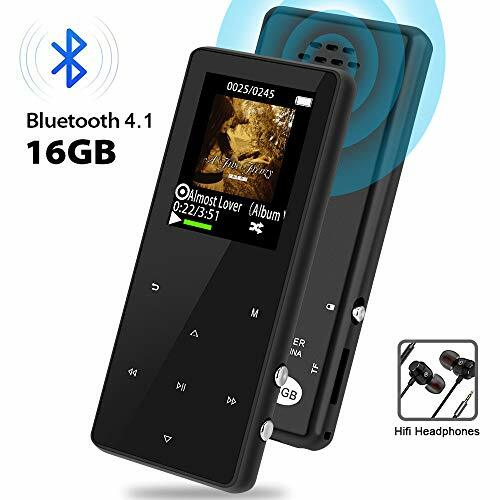 【Package Contents】MP3 Player, User Manual, USB Cable, Earphones, storage bag and 18 Months Satisfaction Warranty. 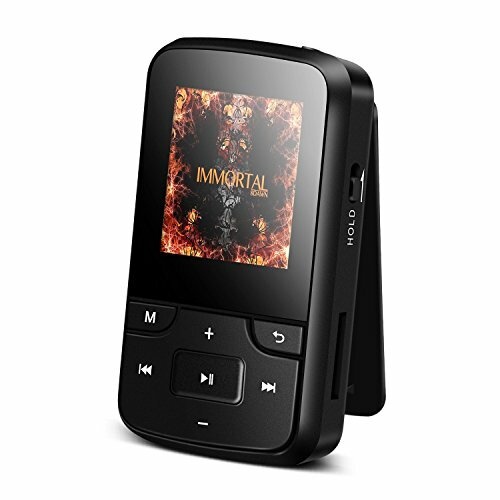 If you have problem about the MP3 Player, please feel free to contact us. 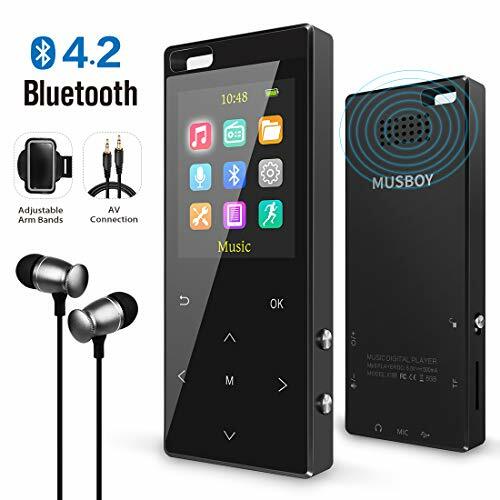 Bluetooth 4.1 supports simpler and faster connection with Bluetooth headphones, and reduces the power consumption of the product. Keep you away from the cables. Professional intelligent digital noise reduction chip is adopted to reduce noise and support all major popular Formats:MP3、WMA、APE、FLAC、WAV、AAC-LC、ACELP. 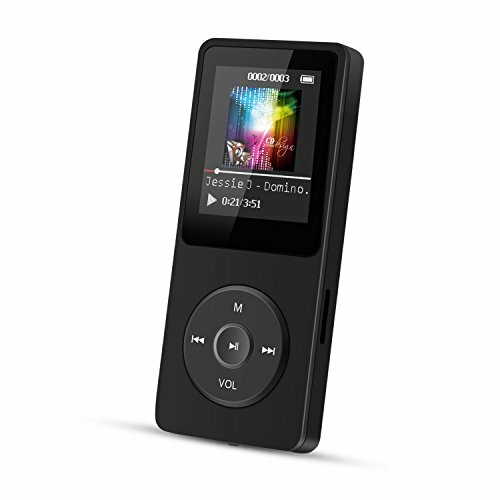 Built-in 16GB memory and external 128GB memory(TF card NOT included) support storage of over 10,000 songs. 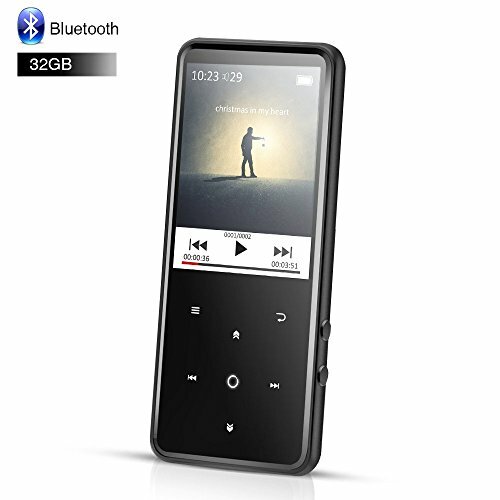 Up to 30 hours music-playing with 2.5 hours of full charge. 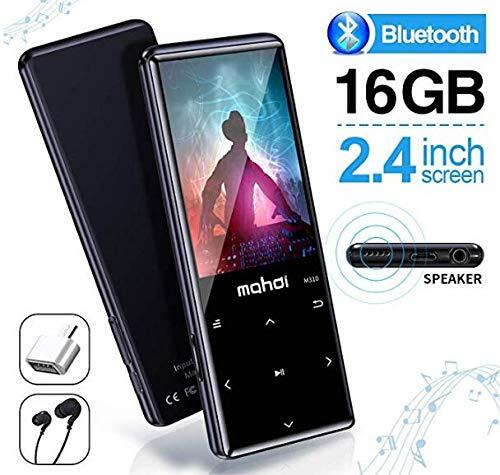 This meatl case make this mp3 player more durable,delivers the elegant apperance.Equipped with senstive touch buttons make it easy operation without any noise in quiet place,gives you a better user experience. 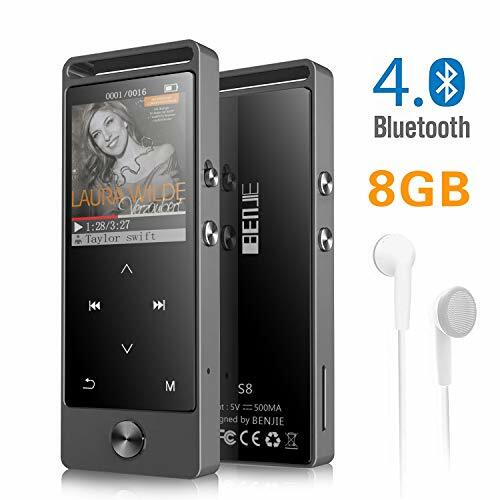 【MP3 Player with Bluetooth 4.0】You can listen your favorite music through Bluetooth speakers, Bluetooth earphones within 40ft when there is no barrier. Support return to the main interface and forward / rewind fast. 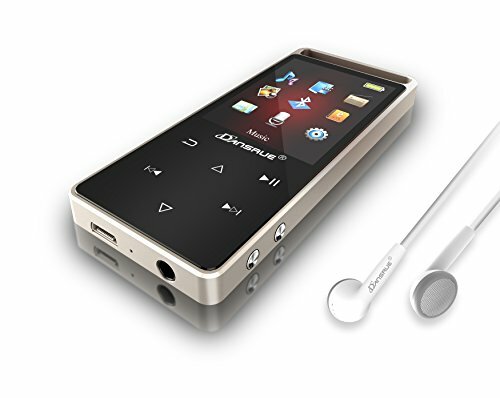 【Multi-Function】One-button lock/unlock screen, independent buttons, easy to navigate. 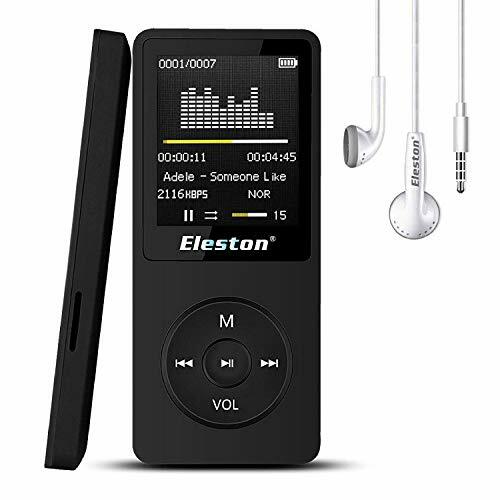 This MP3 Player with FM radio, music play(shuffle/resume/A-B repeat...), voice recording, video, photo browsing. Perfect for daily entertainment. 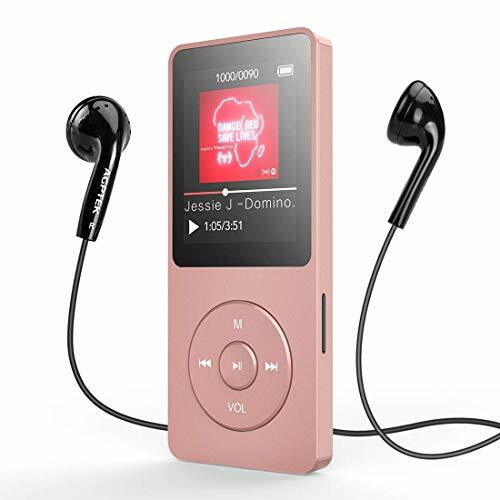 【Accessories and Warranty】Our MP3 players comes with a pair of customized headphones, a armband, a Micro USB Charging Cable, and a manual. 12 month money back warrant, If you get any product problems, please contact with us directly, you'll get a quick response and satisfactory reply.